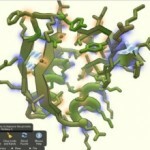 Researchers at the University of Washington have successfully leveraged the power of gamers to solve a biochemical puzzle: the structure of a complex protein related to the development of AIDS. 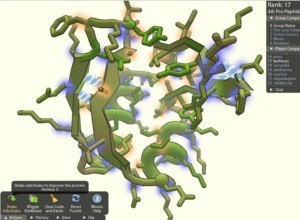 By playing an online game called Foldit, teams of average citizens were able to make a breakthrough discovery in how this protein was shaped even though scientists had stumbled over the question for more than a decade. Read more on Singularity Hub.